Ho! Ho! Ho! Christmas is just some weeks away and I can't wait for the festive season any longer! Take a look at my Pinterest page and you'll see I've been pinning Christmas stuff for quite a long time. 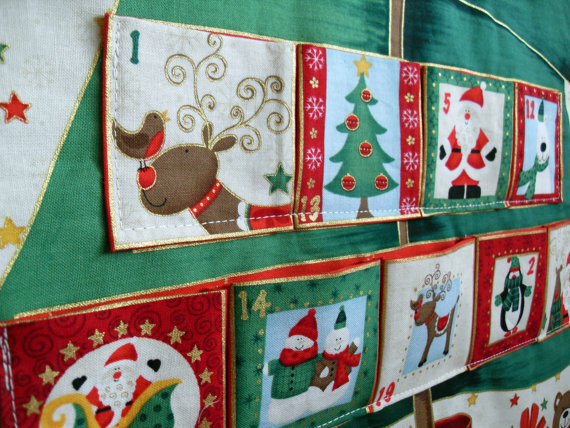 Luckily tomorrow, December the 1st, we already get to start what has always been one of my favorite Christmas traditions: the Advent Calendar! Since I was a little girl, I've always looked forward to December so that I could start counting down to Christmas. 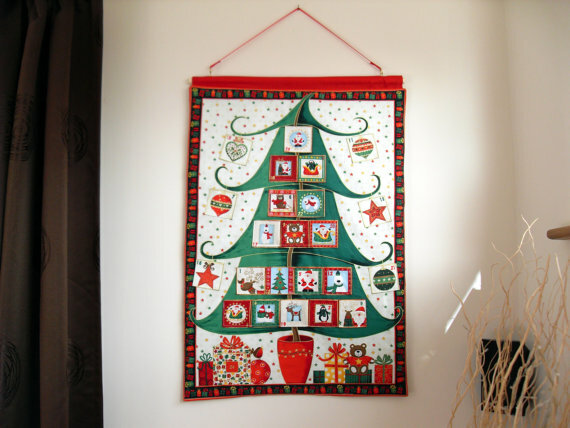 I used to have a new and disposable advent calendar each year, some years the windows were filled with chocolates, while others were just filled with lovely paintings. I enjoyed the latter the most. Basically because the chocolate from advent calendars is of average quality to put it nicely, if you know what I mean! The drawings in advent calendars, on the other hand, were always delightful! Detailed beautiful paintings revolving around Christmas, yet each of them different from one another. 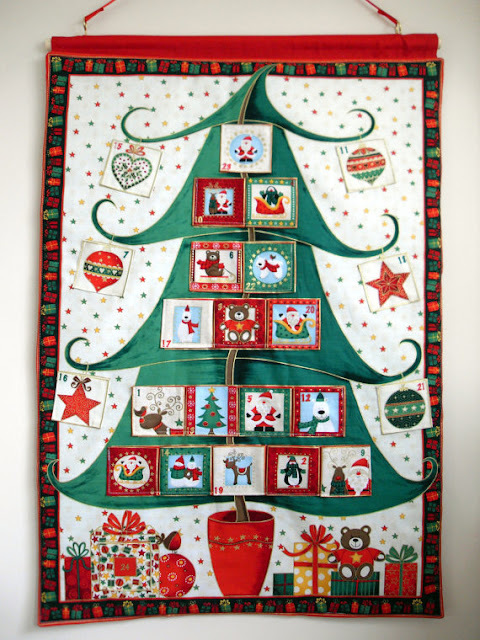 This Christmas Tree advent calendar is the work of homemadebylittleme, or Lee Simons, from the UK. I was a bit worried the calendar wouldn't get to Hong Kong on time but Lee did a marvelous job and dispatched the calendar just two days after I placed my order, and it arrived safely 10 days later! Check out Lee's site on Etsy, she is so talented! There's many many pieces of her work I'd like to own. The calendar has little pockets for every day of December until Christmas, and these last few days I've been preparing the surprises to be included in every pocket. Every day has two pieces of paper with a message, one is for me written by J, and the other one is for J written by me. There's also candy, Meiji chocolate and mini Kit-Kats in the pockets, yay, this year I'll certainly be looking forward to the Advent Calendar's chocolates! I wish you all a wonderful weekend and better month of December, may the magic of Christmas embrace you all! this calendar is so cute!